"Tony Dekker takes acoustics very seriously. His haunting, somber ballads emit an otherworldly quality, due in no small part to the natural environment in which they're captured ... Natural reverb and folkie arrangements complement Dekker's soft voice perfectly" - Exclaim! Tony Dekker is the singer/songwriter behind the musical project Great Lake Swimmers, and the new third full-length album "Ongiara" will be released in Canada on March 27, 2007 by Nettwerk Productions while (weewerk) will release a Limited Edition Vinyl version of "Ongiara" with special gatefold artwork. As with the first two critically acclaimed albums ("Great Lake Swimmers" 2003, and "Bodies and Minds" 2005 released by weewerk), "Ongiara" continues to explore the worlds of indie folk, roots music and alt-country pop, with a focus on lyrics and the craft of songwriting. The new record is permeated with a rich natural reverb, courtesy of London, Ontario's Aeolian Hall, which creates the magical background on which the songs are painted, with a melancholic finesse that pulls at the heartstrings at the same time. The atmospheric sound has been referred to as "ambient folk." These ten new songs are largely inspired by Canada's majestic natural environment ("Your Rocky Spine"), and our reciprocal relationship with the land ("Put There By The Land"). "Where In The World Are You", "Passenger Song" and "Changing Colours" touch on themes of seeking grace and understanding in the weary journey of everyday life, and the latter reflects on the cycle of living and dying. "There Is A Light" is a love song thinly veiled as a protest song, and similarly, "I Am Part Of A Large Family" contains a message of peace. Album closer "I Became Awake" is country-infused lullaby which speaks to revelation and self-realization. In addition to the core band of Tony Dekker (voice, guitar), Erik Arnesen (banjo, electric guitar), and Colin Huebert (drums, percussion, glockenspiel, timpani), the new album features special guest appearances by singer-songwriter Serena Ryder (backing vocals, autoharp), Bob Egan of Blue Rodeo (pedal steel and dobro), Sarah Harmer (backing vocals) and Owen Pallett of Final Fantasy and Arcade Fire (string arrangements). Mike Overton (upright bass), Darcy Yates (electric bass), Mike Olsen (cello), and Mike Bonnell (organ) also contributed their talents to this recording. The title of the album was taken from the Toronto Harbour boat that carried the band to their initial recording sessions on Toronto Island with Dale Morningstar. "Ongiara," however, was mainly recorded in the Aeolian Hall, the centuries-old acoustic jewel in the heart of London, Ontario. It was engineered by Andy Magoffin, and mixed at the renowned House of Miracles. 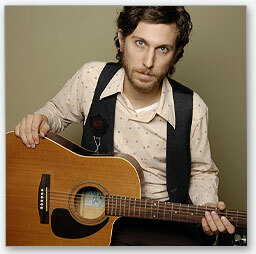 Great Lake Swimmers has toured extensively in Canada, the United States, Europe and Australia since 2004, and has shared the stage with musical acts as diverse as Feist, Andrew Bird, Vashti Bunyan, Final Fantasy, Akron/Family, Jon-Rae Fletcher, Album Leaf, Crooked Fingers, Jason Collett, Amy Millan, and Joel Plaskett Emergency. The songs of Great Lake Swimmers have appeared on numerous compilations alongside such artists as Sufjan Stevens, Hot Chip, Broken Social Scene, Junior Boys, Mark Kozelek, Hayden, Beulah, Joss Stone, Hawksley Workman, Montag, Rheostatics, Tobin Sprout, Richard Buckner, and the Shins. Great Lake Swimmers have been compared to Nick Drake, Iron and Wine, Red House Painters, and "After the Gold Rush"-era Neil Young. They were awarded the Canadian Broadcasting Corporation's Galaxie Rising Star Award in March 2005 and were voted Favourite Folk/Roots Artist at the 2004 Canadian Independent Music Awards.